The Quaternary consists of the period from about 1,800,000 years ago to the present day – of which the period up to about 11,500 years ago is known as the Pleistocene. The great geologist Charles Lyell introduced the name referring to the most recent fossil layer – and the name comes from the Greek meaning ‘most new.’ For ordinary mortals, ‘Pleistocene’ immediately invokes images of the famous children’s modelling clay ‘plasticene’ – and this is a handy reminder, for as the clay is mouldable in nature – so the great glaciers of the period effectively moulded and shaped the Ingleborough landscape into the features we see today. The North of England was dry land for millions of years before the Pleistocene, during which the land was steadily rising and massive amounts of erosion was taking place, stripping away most of the ‘Millstone Grit‘ and coal measures. Ribblesdale and Chapel-le-Dale, either side of the Ingleborough massif, were recognised river valleys, although their floors were about 80 metres (240 feet) higher than before the ice came along. Even as long as a million years ago, the Three Peaks would have had recognisable summits so it is not true to say they were formed as a result of glaciation alone. However, the glaciers had more of an impact on what we see today than any other influence. We will never know how many glaciations there have been, but what we do know is that, during the Pleistocene (1.8 million to 11,500 years ago) there were at least two dominant glaciations with a series of warm (inter-stadial) and cold (stadial) periods in between. Currently we are in a warm ‘inter-stadial period known as the Holocene which has contained all the great events of world history, but which – when considered in geological context makes even the Stone Age seem ridiculously recent! 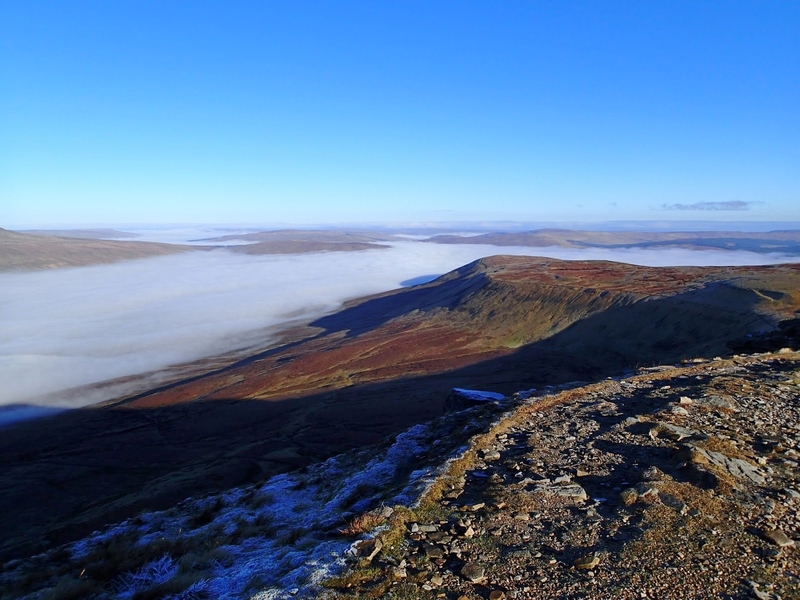 The biggest and most spectacular Pleistocene event was the great Anglian Glaciation which began to wreak havoc on the Dales landscape around Ingleborough from about 460,000 to 380,000 years ago. Everything we can now see in the landscape was completely smothered by great ice sheets moving south from Scandinavia and stretching down as far as the Midlands. It’s hard to imagine, but the top of the ice sheet was an incredible 1200 metres (4000 feet) above the sea, so the Three Peaks were totally covered. Ice, like anything, flows best where there is least resistance, so flow over the summit of the mountain was sluggish and relatively slow – meaning the gritstone cap was not fully removed. The valleys on either side, however, now well-known as Chapel-le-Dale, and Ribblesdale, were deepened by the powerful scouring action of faster moving ice. Great as the Anglian Glaciation was, its effects can hardly be seen today as erosion, and the more recent Devensian Glaciation, have removed all the immediate evidence. 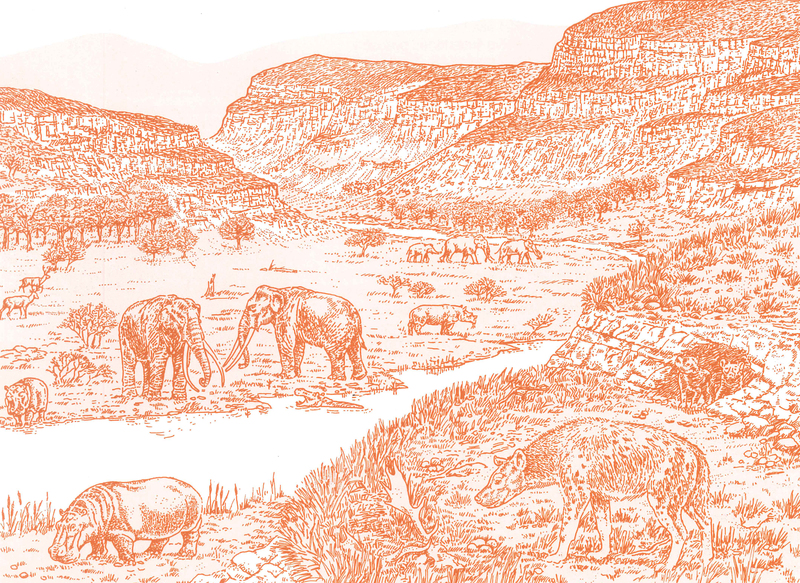 It is important to remember that, even during the Pleistocene – there was far more time with warm climates than cold climates – allowing rivers, rather than glaciers, to be the main influencing factor in eroding the landscape. There is no doubt, however that the recent Devensian ‘Ice Age’ has left its mark in spectacular fashion. The Devensian began slowly some 110,000 years ago just after a warm period known as the Ipswichian which had lasted about 12,000 years. At first the climate fluctuated for thousands of years, but by 30,000 years ago the cold period dominated, and ice extent reached its peak about 18,000 years ago – taking another 3,000 years to melt away completely. 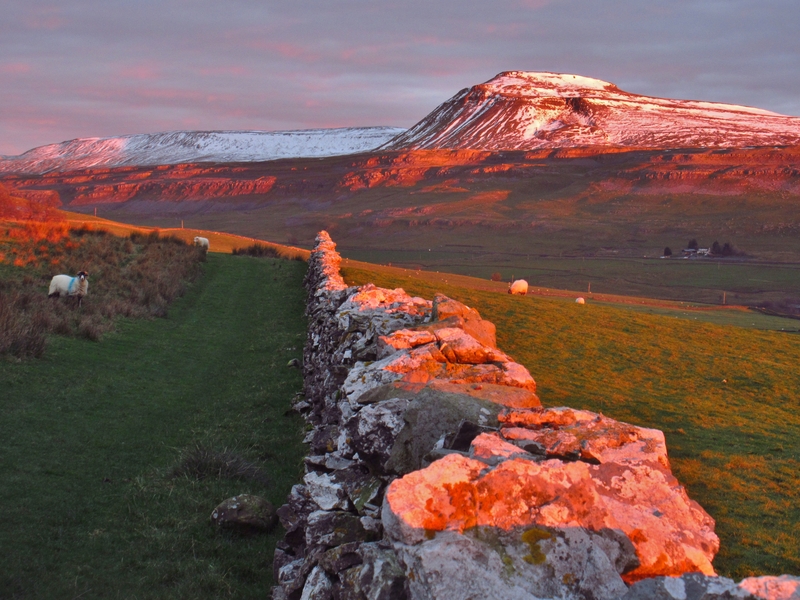 This 12,000 year period is crucial to understanding the Ingleborough landscape, along with the meltwater phase – as it is so recent that the associated features appear fresh and relatively undamaged. Indeed, standing alone on the floor of Chapel-le-Dale, it is not difficult to imagine that the ice has melted away only a matter of days before. 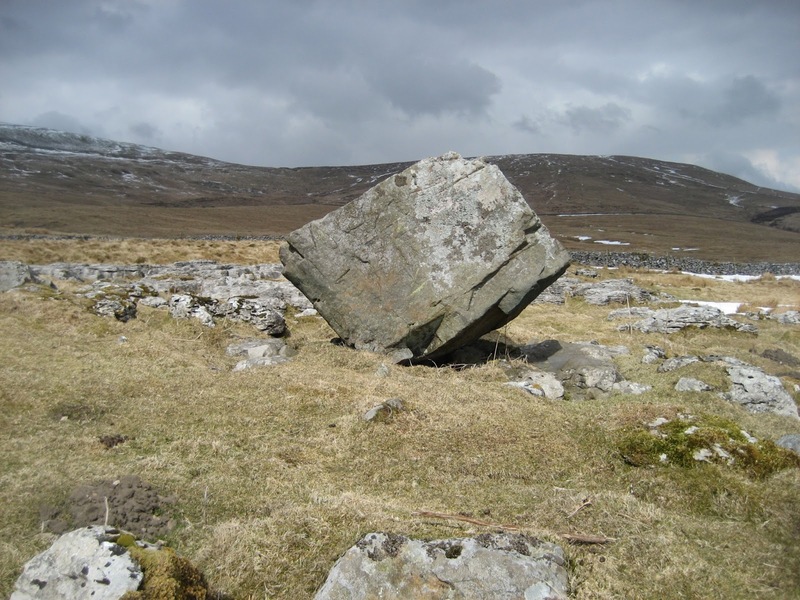 Such was the effect of the Devensian –or ‘Dimlington Event’ on the Ingleborough landscape. Great u-shaped valleys, pristine limestone pavements, oddly-placed erratics and spectacular meltwater gorges are all direct results of the most recent ‘ice age’, and we shall consider each one in turn.